The Bug has been squashed. Volkswagen confirmed Thursday that it will end production of the Beetle in 2019, though it hinted the car could one day be revived. The future of the iconic Beetle had been a subject of speculation for months. The German automaker has shifted its emphasis to SUVs and a range of still-to-come new electric cars under the I.D. nameplate. The Beetle had fallen out of favor among American consumers despite its iconic body style. The last version will be offered in two special models: the Final Edition SE and Final Edition SEL. 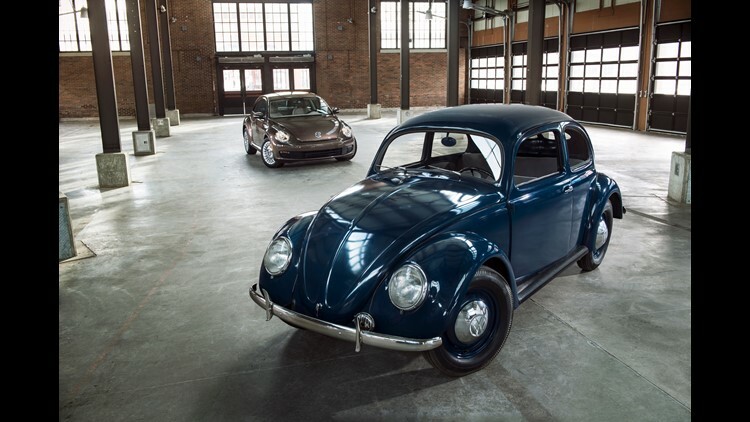 “The loss of the Beetle after three generations, over nearly seven decades, will evoke a host of emotions from the Beetle’s many devoted fans,” VW U.S. CEO Hinrich J. Woebcken said in a statement. More: Hurricane Florence: How will the storm impact the price of pork? Could the Beetle eventually find new life once again? Woebcken hinted it's possible. “As we move to being a full-line, family-focused automaker in the U.S. and ramp up our electrification strategy with the MEB platform, there are no immediate plans to replace it," he said. "But as we have seen with the I.D. Buzz – which is the modern and practical interpretation of the legendary Bus – I would also say, ‘Never say never.’ "
VW sold 15,166 Beetle models in the U.S. in 2017, down 3.2 percent. The current generation model has been in production in Puebla, Mexico, since 1997, VW said. The car first hit the U.S. in 1949. Passenger car sales have been plunging in the U.S. in recent years as American preferences shift to larger vehicles. “In this environment the business case for cars in general, and small cars in particular, becomes increasingly difficult to justify," wrote Karl Brauer, executive publisher of Kelley Blue Book and Autotrader. "Anyone surprised or disappointed by this announcement better prepare themselves. In the months to come more automakers will be announcing more iconic model cancellations." The 2019 Beetle will include convertible and coupe versions, each powered by 2-liter gas engines with 174 horsepower, a six-speed automatic transmission and average fuel economy of 29 miles per gallon. Pricing starts at $23,045 for the coupe and $27,295 for the convertible. VW is under pressure from investors to bolster its profitability under new CEO Herbert Diess. The assembly lines at the Volkwagen auto works plant in Wolfsburg, West Germany, June 16, 1954. A man drives his modified Volkswagen Beetle in Buenavista de Cuellar, Guerrero State, Mexico June 26, 2015. A VW Beetle covered with ice crystals glitters in the sunshine Nov. 30, 2016 in Kaufbeuren, southern Germany. A Volkswagen beetle, a 1960 model with a sliding top, is tested by technicians of the Paris Volkswagen devision to prove to what extent the body of the beetle is watertight and submerged half the car in the river Seine, Paris, France, Oct. 4, 1960. Harrod Blank poses with his 1963 Volkswagon Beetle which he has decorated in a mariachi theme and calls "Pico de Gallo" Aug. 25, 2003. Harrod Blank Douglas and his 1965 VW Beetle Art Car "O MY GAWD" at the Quail Motorsports Gathering in Carmel Valley, Calif. Aug. 19, 2016. This is an ad featuring Heidi Klum on a talk show hosted by a VW Beetle named Max, a 1964 beetle, who stars as the voice and face for the VW brand in a new campaign, March 2008. Volkswagen was rolling out a classic Beetle as the brand's face and voice in a quirky TV, Web and print ad campaign. A 2015 Beetle TDI VW. Volkswagen employees work in the assembly plant of the sedan 'last edition' July 21, 2003 in Puebla, Mexico. A 1963 Volkswagen VW Kever Beetle 1200 during the 25th edition of InterClassics Maastricht in Maastricht, Netherlands, Jan, 11, 2018. A Barbie with a VW Beetle to. The Volkswagen Beetle Dune concept car is unveiled at the North American International Auto Show in Detroit, Jan. 13, 2014. Volkswagen Beetle is lifted inside a delivery tower after the company's annual press conference in Wolfsburg, Germany, March 12, 2012. Visitors stand behind a Vochol, an art Volkswagen Beetle that has been decorated with traditional Huichol (Wirrarika) beadwork from the center-west of Mexico, at the International Transport Forum 2017 Summit in Leipzig, Germany, May 31, 2017. VW Beetle's drive past Berlin's landmark the Victory Column April 23, 2013 in Berlin. Models display the new Beetle during the Tokyo Motor Show Nov. 30, 2011. A model sits in a redesigned vintage Volkswagen Beetle by Croatian artist blacksmith Sandro Vrbanus Nov. 22, 2012 in Essen, western Germany during the Essen Motor Show. A vintage Volkswagen Beetle and van are displayed during Volkswagen owner's club " pride of ownership" diamond jubilee rally 2013 in Colombo Sri Lanka, April 7, 2013. Pakistani mechanics repair a Volkswagen Beetle in Lahore. Pakistan's, July 25, 2015.